One of the coolest features of Apple’s iOS is set to get some competition. 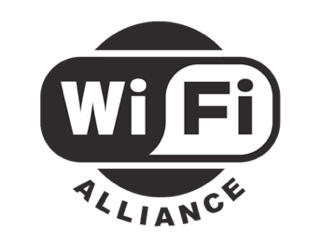 The Wi-Fi Alliance has launched a certification program for its Miracast wireless streaming spec, which aims to simplify video and audio sharing between devices with an industry-standard alternative to AirPlay that different manufacturers can use. Miracast builds upon a previous effort driven by Intel called Wi-Fi Direct, using the existing 2.4GHz Wi-Fi connection to negotiate a 5GHz peer-to-peer wireless connection and deliver audio and video content from one device to another. Everything happens without a connection to an existing Wi-Fi network. Wi-Fi Direct didn’t take off as hoped, but several key industry players are already backing the more user-friendly Miracast. "When [users] want to share a video, they simply click a button to look for the television they want to display that content on, they select the television, and at that point the devices set up the Wi-Fi Direct connection and negotiate the appropriate video settings. The user just sees the video showing up on the television." Streaming should be close to a one-click process for users. In contrast to other streaming technologies like DLNA, which offloads decoding of the video stream and DRM handling to the target device, Miracast essentially replicates everything from one screen to another using the H.264 codec and its own DRM layer so you are not limited by things such as file types and content protection -- a major annoyance with DLNA streaming. Miracast supports WPA2 security and also copyright protection systems like HDCP to prevent users from making copies of content. According to The Verge, audio-only devices aren’t part of the standard though. The first consumer products to include Miracast certification include the LG Optimus G smartphone, Samsung Galaxy S III smartphone and Samsung Echo-P Series TV. The Galaxy S III along a few other Samsung handsets already support the company’s own Miracast-based implementation called AllShare Cast, but joining Miracast will ensure that a Samsung phone will stream to a non-Samsung device. The standard is compatible with existing WiDi-enabled displays and a lot more devices are expected down the road. Intel, LG, Marvell, Nvidia, Samsung, Broadcom, Sony and a few others are on board working on adding support to wireless cards, wireless adapters, as well as system-on-chips like the Tegra 3. The number of Miracast-certified devices, including laptops, tablets, smartphones and set-top boxes, should exceed 1.5 billion in 2016 according to iSuppli.